Marriage is an essential part of the life. When a boy or girl entering in the age of marriage, the family member of the boy or girl start to search a perfect life partner for them. In India, it is an old tradition that parents are selecting the family and partner for their son/daughter as per the own family status. On the other words, we can say that marriage is prestigious issue for the aged member of the family. But today world is world of education. A young person who is educated, at the time of selecting her life partner seeking only about the good quality of her partner like education, behavior, thinking and others thing which he wants in her partner except her caste, status. Love marriage when boy and girl perform the marriage with own choice with or without the consent of their parents the marriage is always remain love marriage. Earlier in India, girls never speak anything against her family member, even in the matter of marriage. Family member of the girl never ask her about neither her wish of marriage nor her choice about the boy. But today girl of India also educated more than earlier India. She has right to think about her future and her partner and married life. Love marriage when this word come in the mind, a wave of happiness and feeling of joy is running all over. But when family member are not ready for the love marriage then it feel a difficult task for the couple and next question is come in the mind how this task will perform. In this situation Couple tried to make understand their family members for giving the consent for the marriage with help of their other relatives and friend. If the family members of the couple only debarred them from their property, this should be taken in normal way by the couple. But when the parents giving the threat of life ( jaan se marne ki dhamki) to the boy or girl, it should be taken in very serious way and took proper precaution. Everybody have right of freedom of life and liberty and perform the marriage with own will. In Punjab and Haryana, ratio of Honour killing is very high compare to other states and Hon’ble Supreme Court of India also comment on this issue and had given the guideline to the all high courts of the states to provide the adequate protection to the runaway married couple. A married couple can file the petition for protection of life and liberty before Hon’ble Court. What are the benefits of hiring an advocate? When a couple decides to marry without the consent of their parents and other family members, they fear for their life. We all know to what extent these people can go to serve their selfish needs. Advocate in chandigarh will protect these couples, especially when they are feeling helpless in their own cities. 2. Obtain the marriage certificate. 3. File protection of life and liberty in the High Court. 4. Obtain the protection order from the High Court. 5. The couple can now live in their area as the police are duty bound to protect such couples after the High Court order. 6. Police will not be able to register any false case against them as those can be easily turned down by the High Court. 7. Police will also help to find a way to compromise and patch things up between you and your parents. 1. Petitioners should be citizen of Punjab, Haryana and Chandigarh. 2. Petitioners must have threat of life and liberty from the relevant person of marriage. 3. Petitioners must have proof of marriage like marriage photograph, marriage certificate. 4. Petitioners have one document as a proof of age and citizen of the relevant state. 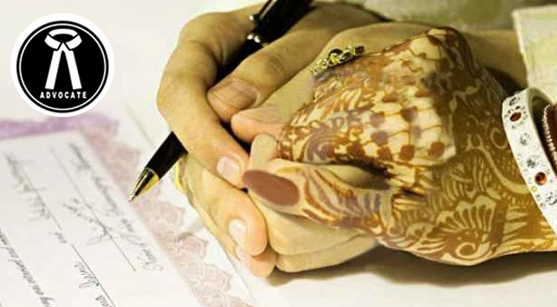 WHAT IS THE COURT MARRIAGE PROCEDURE IN CHANDIGARH ? Making Will: Are advocates optional?